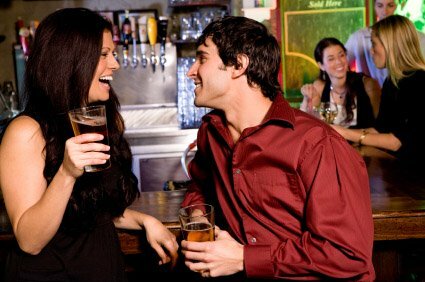 Why choose speed dating with Ditch or Date? Some of the more positive reasons to go speed dating with Ditch or Date are that you’re sure to have a most enjoyable evening with the probability of going on a date. You don’t need a computer to make a booking, a phone call will suffice where you can speak to a friendly member of staff. We do all the hard work by matching you up with a suitable partner, this information is stored in your account so you can check it at any time in the future. After an enjoyable and fun evening you will be informed of your match or matches usually within twenty four hours. Should the very unlikely event happen and you don’t find someone you would like to have a date with, we guarantee your next event is absolutely free, good news all round! Our carefully appointed, experienced hosts do everything they can to make sure everyone attending one of our speed dating events is taken care of from the beginning of the evening to the end. They are there to answer queries, explain what happens throughout the event as well as making everyone feel comfortable. Why not register online soon or by telephone so you can see how speed dating in your area could lead to a date or even wedding bells? Find your soul mate through Ditch or Date where people just like you are hoping for the same, it’s recommended to make a booking soon to avoid disappointment.